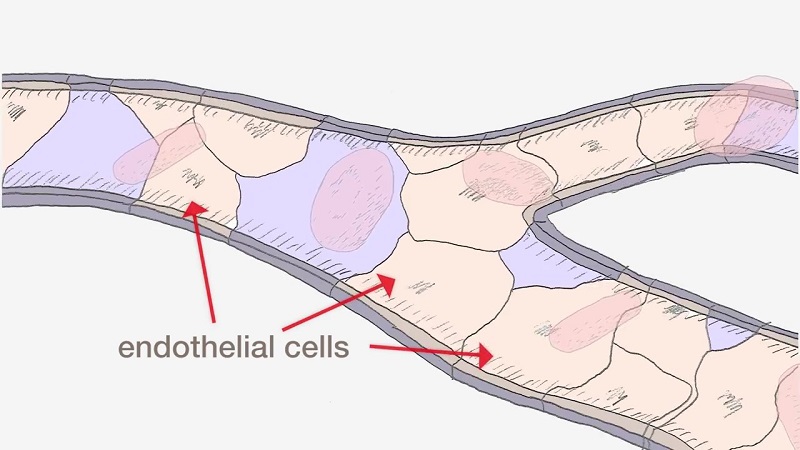 The team says the achievement paves the way for similar therapies for humans and published the results of their study on March 22 in the journal Cell. David A. Sinclair, Ph.D. is best known for his research on the NAD molecule and its role in increasing health in aging bodies. Dr. Sinclair is a professor in the Department of Genetics and a Co-Director of the Paul F. Glenn Laboratories for the Biological Mechanisms of Aging at Harvard Medical School (HMS) as well as a Professor at the University of New South Wales, Sydney. 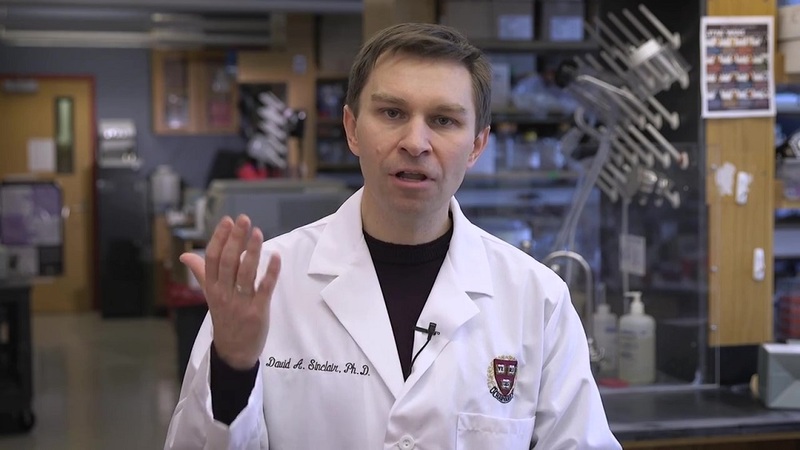 In a video accompanying the new study, published by Harvard News, Dr. David Sinclair describes the compound NMN boosts levels of NAD in the bodies of aging mice, and how that restores muscle function. NMN Boosts NAD in aging endothelial cells. 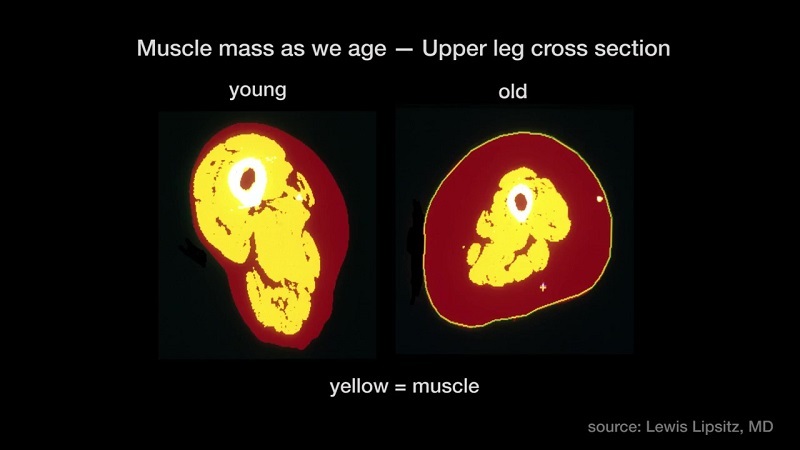 Source: Harvard Medical School (HMS) (video). The decline in NAD causes aging blood vessels and loss of muscle tissue says Dr. David Sinclair. Credit: Lewis Lipsitz via HMS. NMN boosts NAD in aging blood vessels according to Dr. David Sinclair. Source: HMS (video). 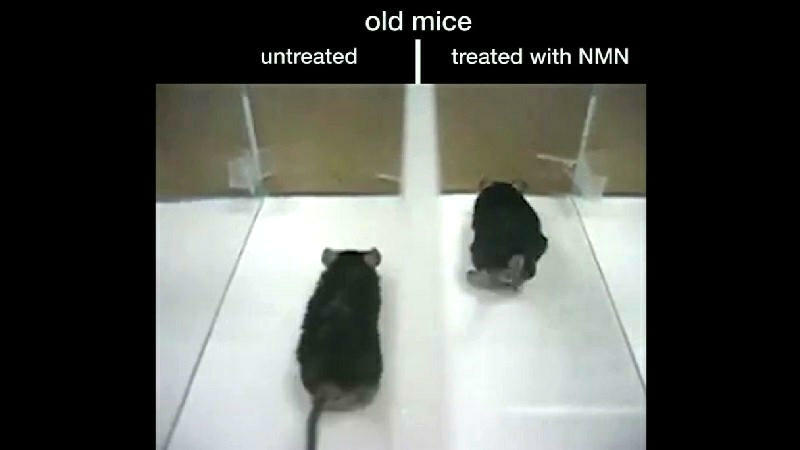 Mice treated with NAD booster NMN outperform untreated ones. Source: Dr. Sinclair / HMS. Dr. David Sinclair suggests that NMN and NAD may reverse aging in blood vessels and restore the muscle tissue of Seniors one day. Credit: Dr. David Sinclair / Harvard Medical School. Related: Trial suggests nicotinamide riboside (NR) may help vascular health. Photo Credit: All images courtesy of Dr. David Sinclair / Harvard Medical School. Diagnosis, Treatment, and Advice: This article is intended for informational and educational purposes only and is not a substitute for qualified, professional medical advice. The opinions and information stated in this article should not be used during any medical emergency or for the diagnosis or treatment of any medical condition. Consult a qualified and licensed physician for the diagnosis and treatment of any and all medical conditions. Experimental treatments to boost NAD such as NMN carry a much higher risk than FDA-approved ones. Dial 9-1-1, or an equivalent emergency hotline number, for all medical emergencies. As well, consult a licensed, qualified physician before changing your diet, supplement or exercise programs. 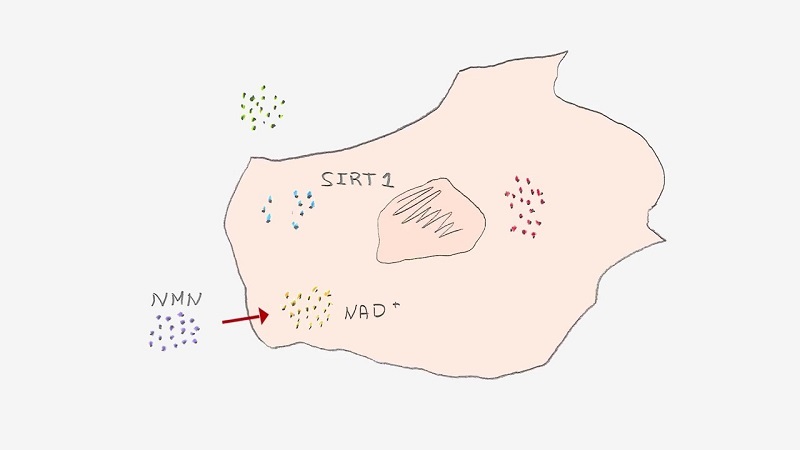 Very interesting paper, “Impairment of an endothelial NAD+ -H2S signaling network is a reversible cause of vascular Aging”. Unfortunately “Cell” not open access and can’t read paper. If Brady could post link to entire paper that would be excellent. Combined NMN and supplement with sodium hydrosulfide gave best result. Best source of hydrosulfide (for endothelial dysfunction) is garlic. So if impressed with these results, eat garlic. Great thanks to Brady able to read paper. NMN by enhancement of SIRT1 signaling enables the endothelial cells of SKELETAL MUSCLE OF LOWER LEGS (gastrocnemius muscle) to make new capillaries in response to signaling from muscle cells to increase the endurance to prolonged exercise. This is something lost in aged-mice. Furthermore, increased with hydrogen sulfide (garlic). In young sedentary mouse watching TV all day had no effect. Issue: Skeletal muscle, especially leg muscle. 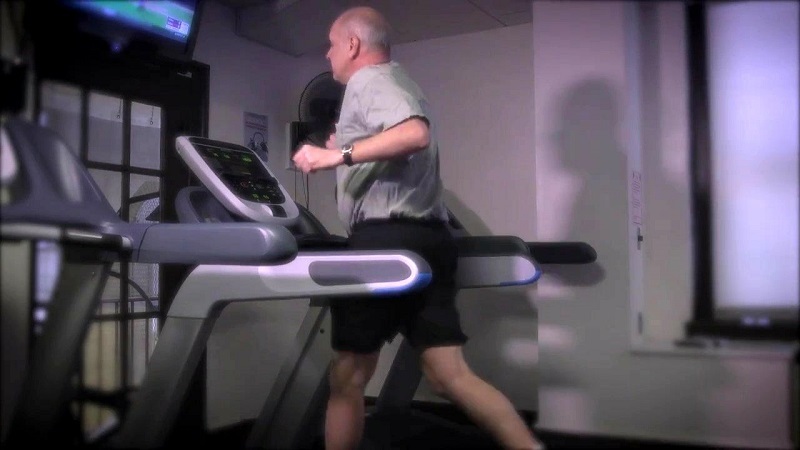 is unique in ability to increase blood flow some 20 fold from rest in response to maximum exercise. Heart also increases blood flow. Other organs don’t increase blood flow. Increase in blood flow muscle related to very extensive capillary network. Problem: not clear that applies to heart, brain or other organs. If it does, that is great. But this paper is about lower leg muscles in mice. The problem is not mice. I think human lower leg muscles probably act same as mouse leg muscles. Regardless of specific finding, excellent to know that NMN stimulates activity of SIRT1 and this action appears to be enhanced by hydrogen sulfide. Very interesting article. I’m a big fan of NMN. I wish we had some notion of dosage, however.